You can choose from 5 amazing colours! 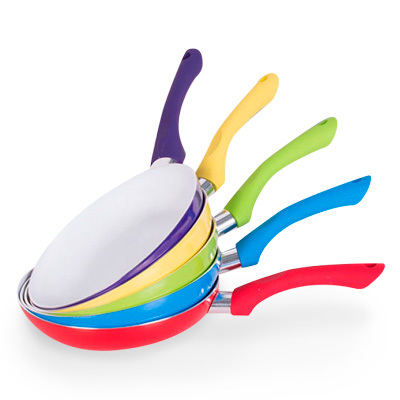 These non-stick frying pans have an elegant exclusive design and are cream in colour. 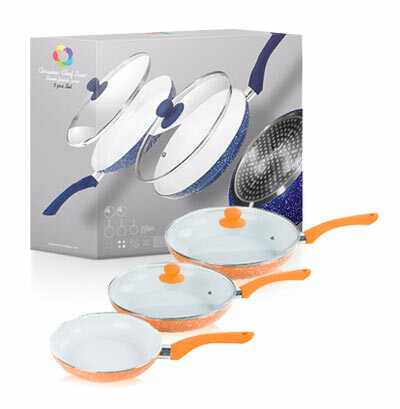 These frying pans have ergonomic handles, an aluminium body and ceramic coating inside. Eco-friendly frying pan! 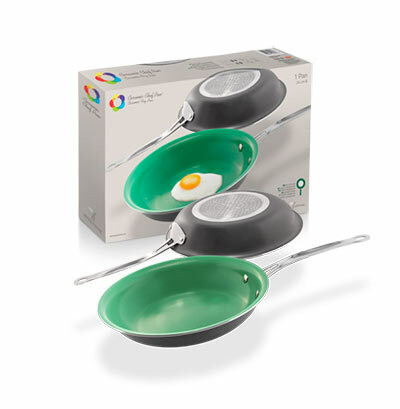 It’s an excellent frying pan with aluminium body and a gorgeous green fluoropolymer-free (PFOA and PTFE) ceramic coating. 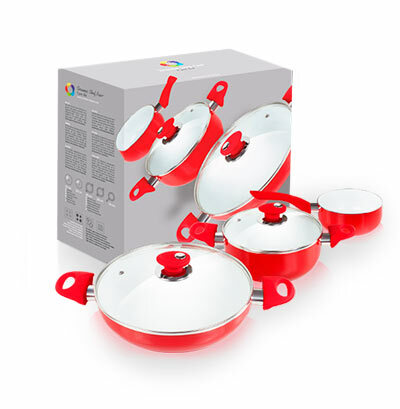 The pieces of this Ceramic Chef Pan cookware set are made of top-quality aluminium with ceramic coating inside, which prevents food from sticking when cooking. 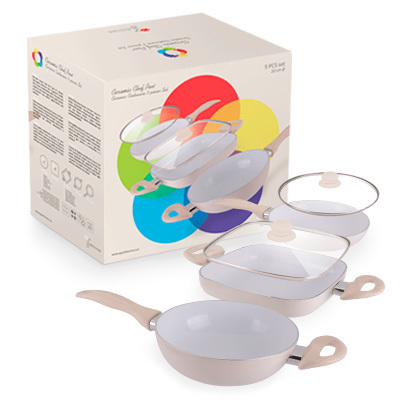 With this useful cookware set you can prepare the most delicious meals easily. 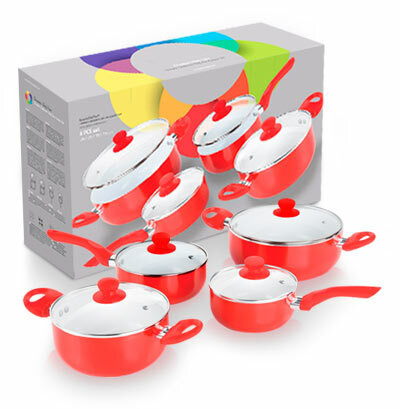 This set of non-stick pots and saucepans has a high-quality aluminium body with ceramic coating. The frying pans of the Ceramic Chef Pan Set are very different from other non-stick pansand they are the most advanced cookware of the past years. Non-stick surface Ceramic Chef Pan ™ series. Ergonomic handle. Easy to clean and dishwasher-safe. (gas, electric, glass-ceramic and induction).